Lord Rennard has had the suspension of his membership of the Liberal Democrats lifted after disciplinary proceedings against him were dropped. The former Lib Dem chief executive was suspended after being accused of bringing the party's name into disrepute for failing to apologise over sexual harassment claims. He apologised in May for his behaviour. A Liberal Democrat spokesman said the dropping of disciplinary proceedings had now brought the matter to a close. A party inquiry by independent barrister, Alistair Webster QC, concluded that there should be no further action against Lord Rennard, saying that while "broadly credible" the claims, made by four party activists, could not be proved beyond reasonable doubt. Lord Rennard initially refused to apologise, although he later expressed regret, conceding he may have "inadvertently" encroached" upon "personal space". He subsequently challenged his suspension from the Lib Dems, saying it was against party rules. On the lifting of his suspension, a Liberal Democrat spokesperson said: "This brings the matter to a close and means the suspension of his membership is lifted." In a statement Lord Rennard said: "All allegations made about me have now been investigated thoroughly, including by the Metropolitan Police, and fell at the first hurdle as to whether or not there was sufficient evidence to proceed further. "The worst that might be said of me in [Mr Webster's] report was that I may have inadvertently encroached on the personal space of some of the complainants, and I apologised for this to all four of them." Party leader Nick Clegg said the Liberal Democrats had been forced to take a "long, hard look in the mirror" since these allegations were made last year. He said: "It is clear that a number of women in our party felt let down that the party failed to act on their complaints appropriately. I am determined that no member of our party should find themselves in that position again." His statement was echoed by the party's president, Tim Farron, who said that the party had changed its "rules and codes of conduct at every level" so that everyone involved in the party "was aware of their rights and responsibilities". Some Lib Dem members had argued that Lord Rennard should have been expelled from the party. 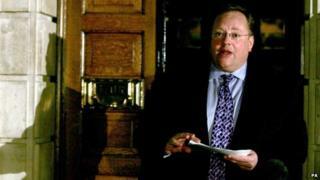 In July Susan Gaszczak - one of the four who made claims against Lord Rennard - quit after the party refused to expel him. Reacting to the news that his suspension had been lifted she posted on social-networking site Twitter: "Very glad I made the right choice in July, the @LibDems have told me I am credible but have no back bone, back to normal then." In a statement, she added: "The party democracy obviously has no moral compass. They say we are credible, then fail to act on it and don't see the impact this has on women and women voters."